Hearing Level Win with Horn & Kelley for Calumet City Claimant! Social Security Disability Lawyer John E. Horn of the law firm of Horn & Kelley, P.C., just won another social security disability case, this one at the hearing level, step three of the Social Security Disability process. Our client was a fifty-nine year old Calumet City social security disability applicant who suffered from Multiple Sclerosis, limited use of her right (dom) hand, and cannot walk without use of a cane or wheel chair, difficulty speaking, and memory issues. We have represented many other Calumet City social security disability claimants successfully. Do not make the same mistake so many others have, call us before you file. We can handle your claim from the very beginning. We apply for Calumet City social security disability claimants by filing online. Applications for social security disability benefits have a seventy percent chance of being denied. Then it is necessary to file an appeal called reconsideration. We request reconsideration for Calumet City social security disability applicants by filing their appeals online. Most claims are denied at reconsideration. Then it is necessary to file another appeal requesting a hearing by an administrative law judge. We request hearings for Calumet City social security disability applicants by filing online. Many claims are won at the hearing level, but if you do not win, an appeal must be filed with the Appeals Council. Like everyone else who appeals to the Appeals Council, Calumet City social security disability applicants file their appeals in Falls Church, Virginia. The Appeals Council denies eight out of ten appeals. Social Security used to allow sixty-five percent of claims overall, but now it is allowing only forty percent of claims. We aim to win every claim without a hearing, but Social Security is just a big insurance company, and like any other insurance company, it only wants to take in premiums and not pay benefits. That means you need a Social Security Disability Lawyer who will if necessary take your case to the United States District Court, the United States Court of Appeals, or even the United States Supreme Court. Calumet City social security disability applicants file suit against Social Security in the United States District Court in Chicago. If Calumet City disability applicants do not win in the District Court, they appeal to the United States Court of Appeals for the Seventh Circuit in Chicago, maybe even to the United States Supreme Court in Washington, D.C. When you apply for social security disability, make sure you hire a local fighter, a lawyer who can take your case to the United States District Court or United States Court of Appeals if necessary. You have at least a fifty percent better chance of winning with a fighting lawyer who can take your case to the United States District Court, the United States Court of Appeals or even the United States Supreme Court. Visit our website at www.johnehornattorney.com. We are national leaders in social security disability law with more cases published in the Forum of the National Organization of Social Security Claimants’ Representatives than anyone else in the country for the last two years. We show other lawyers how to win in the field of Social Security Disability law. Horn & Kelley won nine of ten decisions in 2014 in the United States District Court and two out of two decisions in the United States Court of Appeals in 2014. Horn & Kelley are attorneys who represent people on social security disability claims at every level in Chicagoland, Northwest Indiana. Horn & Kelley have offices in Chicago, Tinley Park, and La Grange, Illinois, as well as Highland, Indiana. Their Chicago office serves Southwest Chicago. Their Tinley Park office serves Chicago’s southwest suburbs. Their LaGrange office serves Chicago’s west suburbs, such as Calumet City. Their Highland office serves Northwest Indiana. They have represented more than 5,000 clients in the past twenty-five years. If you are a Calumet City social security disability applicant, get a free evaluation of your social security disability claim by calling Horn & Kelley at 888-921-5297. Horn & Kelley practice only in the field of Social Security Disability. Attorney John E. Horn of the law firm of Horn & Kelley, PC, just won another Social Security Disability case, this one at the recon level, step two of the Social Security Disability process. He won the claim of a sixty year old Palos Heights Social Security Disability applicant who suffered from chronic neck and back pain, headaches, left hip pain, reduced strength in left hand, depression, fatigue and inability to focus. Do not make the same mistake so many others have, call us before you file. We can handle your claim from the very beginning. We apply for Palos Heights Social Security Disability claimants online. Applications for Social Security Disability benefits have a seventy percent chance of being denied. Then it is necessary to file an appeal called reconsideration. We request reconsideration for Palos Heights Social Security Disability applicants by filing online. Eighty-five percent of claims are denied at reconsideration. Then it is necessary to file another appeal requesting a hearing by an administrative law judge. We request hearings for Palos Heights Social Security Disability applicants online. Palos Heights Social Security Disability claims are heard in the Orland Park hearing office. Many claims are won at the hearing level, but if you do not win, an appeal must be filed with the Appeals Council. Like everyone else, Palos Heights Social Security Disability applicants file their appeals in Falls Church, Virginia, by fax or mail. The Appeals Council denies eight out of ten appeals. Social Security used to allow sixty-five percent of all claims, but now it is allowing only forty percent. We aim to win every claim without a hearing, but Social Security is just a big insurance company, and like any other insurance company, it only wants to take in premiums and not pay benefits. That means you need a Social Security Disability Lawyer who will if necessary take your case to the United States District Court, the United States Court of Appeals, or even the United States Supreme Court. Palos Heights Social Security Disability applicants file suit against Social Security in the United States District Court in Chicago. If Palos Heights Social Security Disability applicants do not win in the District Court, they appeal to the United States Court of Appeals for the Seventh Circuit in Chicago. When you apply for Social Security Disability, make sure you hire a local fighter, a lawyer who can take your case to the United States District Court or United States Court of Appeals if necessary. You have at least a fifty percent better chance of winning with a fighting lawyer who can take your case to the United States District Court, the United States Court of Appeals or even the United States Supreme Court. Visit our website at www.johnehornattorney.com. We are national leaders in Social Security Disability law with more cases published in the Forum of the National Organization of Social Security Claimants’ Representatives than anyone else in the country for the last three years. We show other lawyers how to win. Horn & Kelley won nineteen out of twenty decisions in 2017 in the United States District Court and four out of four decisions in the United States Court of Appeals in 2017. We have represented many Palos Heights Social Security Disability applicants successfully. Horn & Kelley are attorneys who represent people on Social Security Disability claims at every level in Chicagoland and Northwest Indiana. Horn & Kelley has offices in Chicago, Tinley Park, and La Grange, Illinois, as well as Highland, Indiana. Their Chicago office serves Southwest Chicago. Their Tinley Park office serves Chicago’s south and southwest suburbs, including Palos Heights. Their LaGrange office serves Chicago’s west suburbs. Their Highland office serves Northwest Indiana. They have represented more than 5,000 clients in the past twenty-five years. If you are a Palos Heights Social Security Disability applicant, get a free evaluation of your Social Security Disability claim and call Horn & Kelley at 888-921-5297. A Palos Heights Social Security Disability applicant would ordinarily make an appointment at our Tinley Park office, depending on what is convenient for you. Horn & Kelley practice only in the field of Social Security Disability. Follow Horn & Kelley on Twitter @HornKelleyLaw and like us on Facebook. Attorney John E. Horn of the law firm of Horn & Kelley, PC, just won another Social Security Disability case, this one at the hearing level, step three of the Social Security Disability process. His client was a sixty year old Geneva disability applicant with PTSD, depression and anxiety, internal bleeding and arthritis in his knee. We have represented many other Geneva disability claimants successfully. Do not make the same mistake so many others have, call us before you file. We can handle your claim from the very beginning. A Geneva disability applicant would ordinarily make an appointment with us at our LaGrange office. We apply for Geneva disability claimants by filing online. Applications for Social Security Disability benefits have a seventy percent chance of being denied. Then it is necessary to file an appeal called reconsideration. We request reconsideration for Geneva disability applicants by filing their appeals online. Most claims are denied at reconsideration. Then it is necessary to file another appeal requesting a hearing by an administrative law judge. We request hearings for Geneva disability applicants by filing online. Many claims are won at the hearing level, but if you do not win, an appeal must be filed with the Appeals Council. Like everyone else who appeals to the Appeals Council, Geneva disability applicants file their appeals in Falls Church, Virginia, by fax or mail. The Appeals Council denies eight out of ten appeals. Social Security used to allow sixty-five percent of claims overall, but now it is allowing only forty percent of claims. We aim to win every claim without a hearing, but Social Security is just a big insurance company, and like any other insurance company, it only wants to take in premiums and not pay benefits. That means you need a Social Security Disability Lawyer who will if necessary take your case to the United States District Court, the United States Court of Appeals, or even the United States Supreme Court. Geneva disability applicants file suit against Social Security in the United States District Court in Chicago. If Geneva disability applicants do not win in the District Court, they appeal to the United States Court of Appeals for the Seventh Circuit in Chicago. When you apply for Social Security Disability, make sure you hire a local fighter, a lawyer who can take your case to the United States District Court or United States Court of Appeals if necessary. You have at least a fifty percent better chance of winning with a fighting lawyer who can take your case to the United States District Court, the United States Court of Appeals or even the United States Supreme Court. Visit our website at www.johnehornattorney.com. We are national leaders in Social Security Disability law with more cases published in the Forum of the National Organization of Social Security Claimants’ Representatives than anyone else in the country for the last three years. We show other lawyers how to win. Horn & Kelley won nineteen out of twenty decisions in 2017 in the U. S. District Court and four out of four decisions in the U. S. Court of Appeals in 2017. We have represented many Geneva disability applicants. Horn & Kelley are lawyers who represents disability claimants at every level in Chicagoland, Northwest Indiana. Horn & Kelley has offices in Chicago, Tinley Park, and La Grange, Illinois, as well as Highland, Indiana. Their Chicago office serves Southwest Chicago. Their Tinley Park office serves Chicago’s south and southwest suburbs. Their LaGrange office serves Chicago’s west suburbs, including Geneva disability applicants. Their Highland office serves Northwest Indiana. We have represented more than 5,000 clients in the past twenty-five years. If you are a Geneva disability applicant, get a free evaluation of your Social Security Disability claim and call Horn & Kelley at 888-921-5297. Horn & Kelley practice law only in the field of Social Security Disability. Attorney John E. Horn of the law firm of Horn & Kelley, PC, just won another Social Security Disability case, this one at hearing, step three of the Social Security Disability process. His client was a forty-nine year old Westmont disability applicant with bipolar and anxiety disorders, rheumatoid arthritis, osteoarthritis and obesity. We have represented many other Westmont disability claimants successfully. Do not make the same mistake so many others have, call us before you file. We can handle your claim from the very beginning. A Westmont disability applicant would ordinarily make an appointment with us at our LaGrange office. We apply for Westmont disability claimants by filing online. Applications for social security disability benefits have a seventy percent chance of being denied. Then it is necessary to file an appeal called reconsideration. We request reconsideration for Westmont disability applicants by filing their appeals online. Most claims are denied at reconsideration. Then it is necessary to file another appeal requesting a hearing by an administrative law judge. We request hearings for Westmont disability applicants by filing online. Many claims are won at the hearing level, but if you do not win, an appeal must be filed with the Appeals Council. Like everyone else who appeals to the Appeals Council, Westmont disability applicants file their appeals in Falls Church, Virginia, by fax or mail. The Appeals Council denies eight out of ten appeals. Social Security used to allow sixty-five percent of claims overall, but now it is allowing only forty percent of claims. We aim to win every claim without a hearing, but Social Security is just a big insurance company, and like any other insurance company, it only wants to take in premiums and not pay benefits. That means you need a Social Security Disability Lawyer who will if necessary take your case to the United States District Court, the United States Court of Appeals, or even the United States Supreme Court. Westmont disability applicants file suit against Social Security in the United States District Court in Chicago. If Westmont disability applicants do not win in the District Court, they appeal to the United States Court of Appeals for the Seventh Circuit in Chicago. When you apply for social security disability, make sure you hire a local fighter, a lawyer who can take your case to the United States District Court or United States Court of Appeals if necessary. You have at least a fifty percent better chance of winning with a fighting lawyer who can take your case to the United States District Court, the United States Court of Appeals or even the United States Supreme Court. Visit our website at www.johnehornattorney.com. We are national leaders in social security disability law with more cases published in the Forum of the National Organization of Social Security Claimants’ Representatives than anyone else in the country for the last three years. We show other lawyers how to win. Horn & Kelley won nine of ten decisions in 2014 in the U. S. District Court and two out of two decisions in the U. S. Court of Appeals in 2014. We have represented many Westmont disability applicants. Horn & Kelley are lawyers who represents disability claimants at every level in Chicagoland, Northwest Indiana. Horn & Kelley has offices in Chicago, Tinley Park, and La Grange, Illinois, as well as Highland, Indiana. Their Chicago office serves Southwest Chicago. Their Tinley Park office serves Chicago’s south and southwest suburbs. Their LaGrange office serves Chicago’s west suburbs, including Westmont disability applicants. Their Highland office serves Northwest Indiana. We have represented more than 5,000 clients in the past twenty-five years. If you are a Westmont disability applicant, get a free evaluation of your social security disability claim and call Horn & Kelley at 888-921-5297. Horn & Kelley practice law only in the field of Social Security Disability. Attorney John E. Horn of the law firm of Horn & Kelley, PC, just won another social security disability case, this one at the hearing level, step three of the Social Security Disability process. He won the claim of a 55 year old Griffith disability applicant who suffered from Status post traumatic subdural bleed, lumbar spine degenerative disc disease, left hip arthritis, hearing loss, hyperlipidemia, insomnia, diverticulitis, restless leg syndrome, an umbilical hernia, bronchitis, depression and anxiety . Do not make the same mistake so many others have, call us before you file. We can handle your claim from the very beginning. We apply for Griffith disability claimants online. Applications for social security disability benefits have a seventy percent chance of being denied. Then it is necessary to file an appeal called reconsideration. We request reconsideration for Griffith disability applicants by filing online. Eighty-five percent of claims are denied at reconsideration. Then it is necessary to file another appeal requesting a hearing by an administrative law judge. We request hearings for Griffith disability applicants online. Griffith disability claims are heard in the Valparaiso hearing office. Many claims are won at the hearing level, but if you do not win, an appeal must be filed with the Appeals Council. Like everyone else, Griffith disability applicants file their appeals in Falls Church, Virginia, by fax or mail. The Appeals Council denies eight out of ten appeals. Social Security used to allow sixty-five percent of all claims, but now it is allowing only forty percent. We aim to win every claim without a hearing, but Social Security is just a big insurance company, and like any other insurance company, it only wants to take in premiums and not pay benefits. That means you need a Social Security Disability Lawyer who will if necessary take your case to the United States District Court, the United States Court of Appeals, or even the United States Supreme Court. Griffith disability applicants file suit against Social Security in the United States District Court in Chicago. If Griffith disability applicants do not win in the District Court, they appeal to the United States Court of Appeals for the Seventh Circuit in Chicago. When you apply for social security disability, make sure you hire a local fighter, a lawyer who can take your case to the United States District Court or United States Court of Appeals if necessary. You have at least a fifty percent better chance of winning with a fighting lawyer who can take your case to the United States District Court, the United States Court of Appeals or even the United States Supreme Court. Visit our website at www.johnehornattorney.com. We are national leaders in social security disability law with more cases published in the Forum of the National Organization of Social Security Claimants’ Representatives than anyone else in the country for the last three years. We show other lawyers how to win. Horn & Kelley won nine of ten decisions in 2014 in the United States District Court and two out of two decisions in the United States Court of Appeals in 2014. We have represented many Griffith disability applicants successfully. Horn & Kelley are attorneys who represent people on disability claims at every level in Chicagoland, Northwest Indiana. Horn & Kelley has offices in Chicago, Tinley Park, and La Grange, Illinois, as well as Highland, Indiana. Their Chicago office serves Southwest Chicago. Their Tinley Park office serves Chicago’s south and southwest suburbs, including Griffith. Their LaGrange office serves Chicago’s west suburbs. Their Highland office serves Northwest Indiana. They have represented more than 5,000 clients in the past twenty-five year. If you are a Griffith disability applicant, get a free evaluation of your social security disability claim and call Horn & Kelley at 888-921-5297. A Griffith disability applicant would ordinarily make an appointment at our Tinley Park office, depending on what is convenient for you. Horn & Kelley practice only in the field of Social Security Disability. Follow Horn & Kelley on Twitter @HornKelleyLaw and like us on Facebook. Social Security Disability Lawyer John E. Horn of the law firm of Horn & Kelley, P.C., just won another social security disability case, this one at initial level, step one of the Social Security Disability process. Our client was a 61 year old Blue Island disability applicant who suffered from high blood pressure, chronic kidney disease, incontinent, lymphedema, chronic cellulitis, morbidly obese and depression. We have represented many other Blue Island disability claimants successfully. Do not make the same mistake so many others have, call us before you file. We can handle your claim from the very beginning. We apply for Blue Island disability claimants by filing online. Applications for social security disability benefits have a seventy percent chance of being denied. Then it is necessary to file an appeal called reconsideration. We request reconsideration for Blue Island disability applicants by filing their appeals online. Most claims are denied at reconsideration. Then it is necessary to file another appeal requesting a hearing by an administrative law judge. We request hearings for Blue Island disability applicants by filing online. Many claims are won at the hearing level, but if you do not win, an appeal must be filed with the Appeals Council. Like everyone else who appeals to the Appeals Council, Blue Island disability applicants file their appeals in Falls Church, Virginia. The Appeals Council denies eight out of ten appeals. Social Security used to allow sixty-five percent of claims overall, but now it is allowing only forty percent of claims. We aim to win every claim without a hearing, but Social Security is just a big insurance company, and like any other insurance company, it only wants to take in premiums and not pay benefits. That means you need a Social Security Disability Lawyer who will if necessary take your case to the United States District Court, the United States Court of Appeals, or even the United States Supreme Court. Blue Island disability applicants file suit against Social Security in the United States District Court in Chicago. 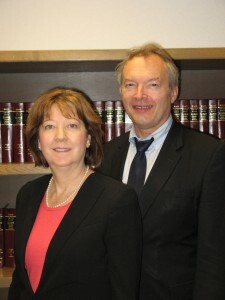 If Blue Island disability applicants do not win in the District Court, they appeal to the United States Court of Appeals for the Seventh Circuit in Chicago, maybe even to the United States Supreme Court in Washington, D.C.
Horn & Kelley are attorneys who represent people on disability claims at every level in Chicagoland, Northwest Indiana. Horn & Kelley have offices in Chicago, Tinley Park, and La Grange, Illinois, as well as Highland, Indiana. Their Chicago office serves Southwest Chicago. Their Tinley Park office serves Chicago’s southwest suburbs. Their LaGrange office serves Chicago’s west suburbs, such as Blue Island. Their Highland office serves Northwest Indiana. They have represented more than 5,000 clients in the past twenty-five years. If you are a Blue Island disability applicant, get a free evaluation of your social security disability claim by calling Horn & Kelley at 888-921-5297. Horn & Kelley practice only in the field of Social Security Disability. Attorney John E. Horn of the law firm of Horn & Kelley, PC, just won another social security disability case, this one at the hearing level, step three of the Social Security Disability process. He won the claim of a fifty-four year old Crown Point disability applicant who suffered from cervical lumbar, gastritis, depression, edema in legs and arthritis. Do not make the same mistake so many others have, call us before you file. We can handle your claim from the very beginning. We apply for Crown Point disability claimants online. Applications for social security disability benefits have a seventy percent chance of being denied. Then it is necessary to file an appeal called reconsideration. We request reconsideration for Crown Point disability applicants by filing online. Eighty-five percent of claims are denied at reconsideration. Then it is necessary to file another appeal requesting a hearing by an administrative law judge. We request hearings for Crown Point disability applicants online. Crown Point disability claims are heard in the Valparaiso hearing office. Many claims are won at the hearing level, but if you do not win, an appeal must be filed with the Appeals Council. Like everyone else, Crown Point disability applicants file their appeals in Falls Church, Virginia, by fax or mail. The Appeals Council denies eight out of ten appeals. Social Security used to allow sixty-five percent of all claims, but now it is allowing only forty percent. We aim to win every claim without a hearing, but Social Security is just a big insurance company, and like any other insurance company, it only wants to take in premiums and not pay benefits. That means you need a Social Security Disability Lawyer who will if necessary take your case to the United States District Court, the United States Court of Appeals, or even the United States Supreme Court. Crown Point disability applicants file suit against Social Security in the United States District Court in Chicago. If Crown Point disability applicants do not win in the District Court, they appeal to the United States Court of Appeals for the Seventh Circuit in Chicago.